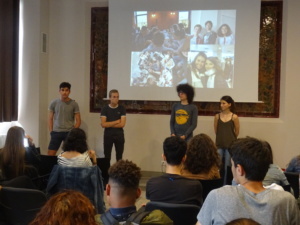 M&L students from Lycée Arago presented the project, their workshop, international twinning and mathematical research to the other pupils and teachers of their school in the afternoon of the Friday, 25th of May (you can download the programme at the end of the article). 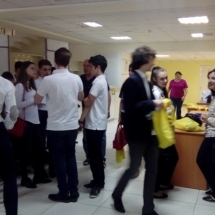 More than a dissemination activity, surely the best way to recruit students for next year! The Argago M&L workshop participated in the « Festijeune » day, organized by the Occitanie Pyrénées Méditerranée Region and held on the 17th of May in the Montpellier Exhibition hall. 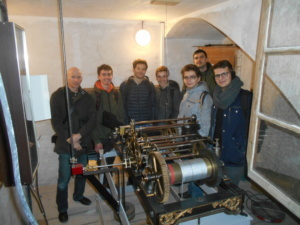 These students are definitively first-class ambassadors for our project! 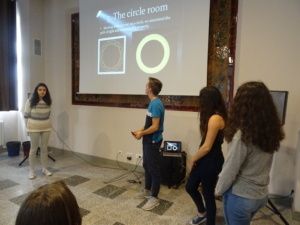 13 M&L pupils of this workshop had the opportunity there to present the M&L project, accompanied by their teacher Marie Diumenge and 37 supporters from their school. 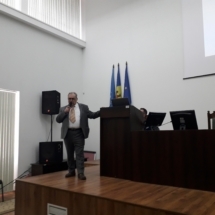 They first introduced the project via a 10 minutes oral presentation in the international openness area and then participated to a debate on the interests of such an international experience and the issues that must be faced to make it successful. They discussed there with young people that spent between 2 weeks and 5 months in Barcelone, Cameroon and Chile. The afternoon was dedicated to the discover of many projects funded by the Region in several areas: sport, culture, music, mémory etc. and then enjoyed a musical entirely built by 300 students and their teachers, a urban dance show and a rap concert. 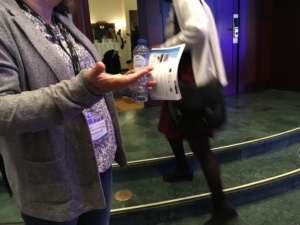 Ariana Vacaretu, teacher at the Colegiul Naţional Emil Racoviţă (Cluj-Napoca), had the opportunity to present the Maths&Languages project during the 3rd Scientix conference 4-6 May 2018 in Brussels. 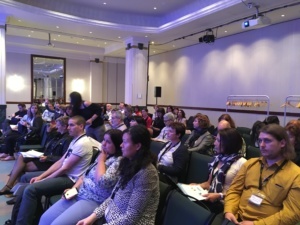 More than 350 teachers, policymakers, researchers and project managers attended her talk. No doubt that it caught their eyes! Thank you Ariana for this great dissemination work! 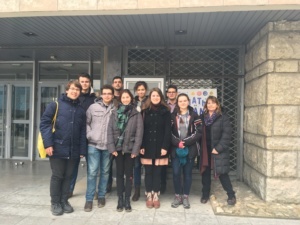 Eight students from Colegiul National Emil Racovita Cluj-Napoca (CNER), accompanied by their teachers (Ariana Vacaretu and Monica Cotul) and their researcher (Lorand Parajdi) were part of the 7-day learning activity organized by Lycée d’Altitude de Briançon (France). 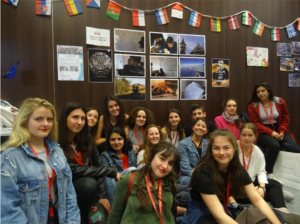 During the week, the students immersed in French Language, French culture, French lessons and universal mathematics. 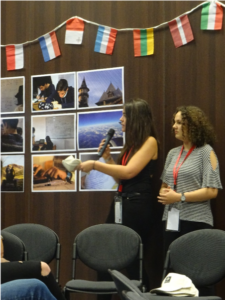 During the first four days of the exchange, Romanian and French students spent some time to finalize both the plenary, and the interactive presentation of their research results. 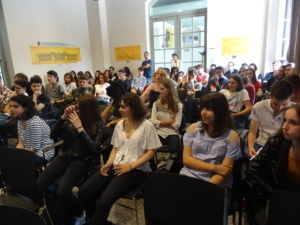 In the last three days, the Romanian students and their French peers participated in the MATh.en.JEANS Lyon Congress. 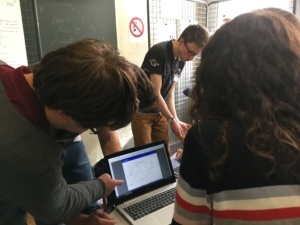 The Congress was a great opportunity for the students to develop interactive communication (about mathematics/ the research work) skills, oral scientific communication (about mathematics/ the research work) skills, and language skills (French and English). 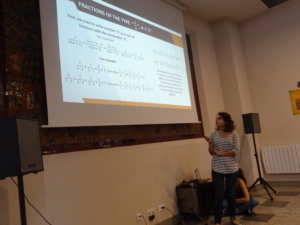 During the Congress, the students enjoyed sharing their research work and results and learned a lot of math. 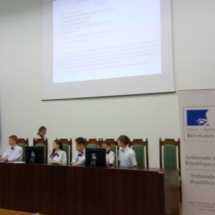 Both the preparation of the presentations, and the presentations themselves gave opportunity to each student to raise awareness of the achieved results (by himself, by his group or the twin group) and to reorganise the new knowledge related to both the content and the process of the research. All in all, the experience was successful and very enjoyable and we all have come home with new things that we have learned or experienced and will stay with us for a long time.